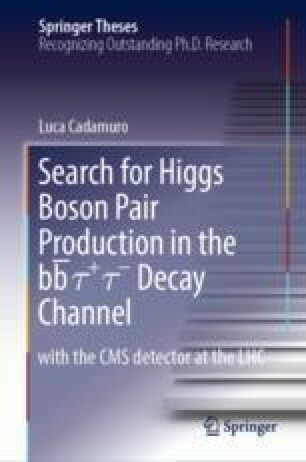 The experimental study of Higgs boson pair production is carried out at the CERN Large Hadron Collider (LHC), and the work described in this thesis is based on the proton-proton collision data collected with the Compact Muon Solenoid (CMS) experiment. This chapter introduces the reader to the properties and operations of the LHC and to the structure of the CMS detector, and presents the algorithms used to reconstruct from the raw detector data the particles produced in the collisions. A special focus is given to the description of the trigger system, designed to perform an online selection of collision events, and to its recent Level-1 hardware system upgrade.